Onions are one of the best ingredients to always have on hand: They're inexpensive and they're deeply flavorful, especially when caramelized. The recipe below calls for deeply caramelizing a pile of onions, which can take some time, but the results are absolutely worth it. 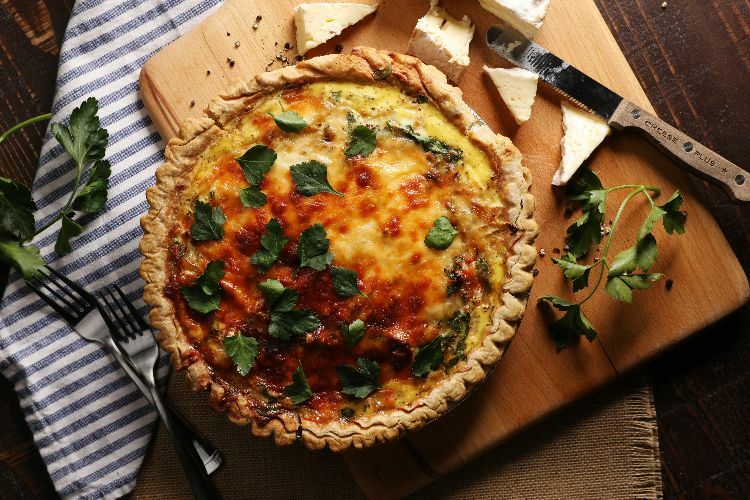 From there, it's easy to ramp up the flavor – adding just a few fresh herbs, a bit of mustard and some cheese makes this quiche a delicious special occasion main dish. Heat the butter in a skillet and add the onions and sugar. Cook over low heat, stirring occasionally, until the onions are deeply browned and caramelized, about 20 to 25 minutes. Set aside to cool. Place the prebaked pie crust into a pie pan and spread the onions over the bottom. Whisk together the eggs, milk, herbs and mustard until smooth. Mix in the camembert and pour over the onions. Top with the shredded cheese and bake for about 45 minutes, or until the cheese on top is bubbly and brown and the center is just set. Set aside for 15 minutes to cool before serving. 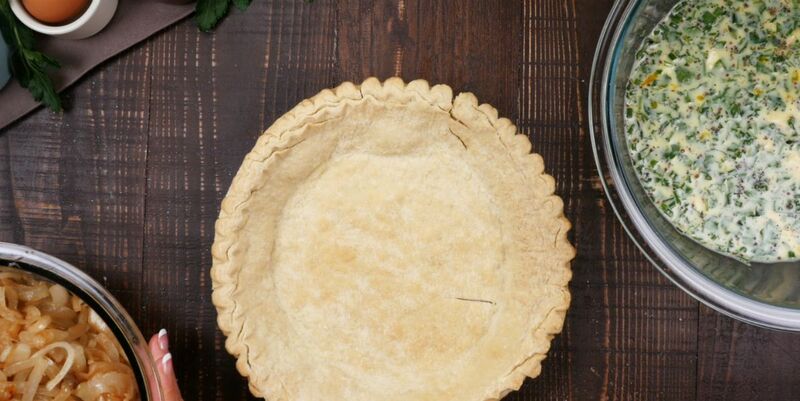 Pro tip: Use a tart shell instead of a pie crust.